In the "Plan of the Great Work" of his The Great Instauration, Bacon discusses two fundamental requirements that must be met in order for anyone to understand the immense project he's trying to achieve (which would no less than change the very face of science). Before his "renewal" can take place, people must first purge their intellects of preconceived notions so that they may deal with the truth, and then they must understand the true relation between the nature of the mind and the nature of the universe. Bacon's Novum Organum (Part II of The Great Instauration) is broken up into three parts: the Preface, Book I ("On the Interpretation of Nature and the Empire of Man"), and Book II ("On the Interpretation of Nature, or the Reign of Man"). Book I comprises Bacon's "expurgation of the intellect," which prepares the reader to consider the merits of his theory, and this book consists of three refutations: of human reason, of the demonstrations (enumerative induction and deduction), and of the philosophies. Book II lays out his theory of induction, of how to truly gain knowledge. To begin, he contrasts his method of gaining knowledge with three other groups: the dogmatists, the skeptics, and the ancient Greeks. The dogmatists presume to have already investigated the laws of nature and thus "know everything"; the skeptics proclaim to "know nothing." In contrast to these, the ancient Greeks possessed a prudent mean between the arrogance of pretending that you know everything, and the hopelessness of knowing nothing: trying to engage with nature to gain knowledge, whatever the difficulty of the inquiry or how obscure things were. Unfortunately, they only used their unaided reason, with no fixed rule or methodology. Bacon's method, in contrast to all three positions, will establish progressive levels of certainty. For this, he'll take the evidence of the senses, provided that they are corrected by instruments, but he refuses to take the kind of thinking which normally follows the senses. Instead, he will explain a new path for the mind, one which will proceed from the direct perception of the senses. While this aim—providing helps to human thinking—likely belonged to logic, it is already too late for such help, in Bacon's view: our minds are already filled with unsound doctrines and vain idols from the daily activities of life. ("Idol" is a fundamental term in Bacon's theory of induction; it's a concept or notion formed by a corrupt method that leads to distortion and confusion, and it will be discussed in detail later.) Rather than helping the situation, logic, as it has been practiced, has led to cementing errors, rather than disclosing truth. "Our only remaining hope and salvation," Bacon advises us, "is to begin the whole labor of the mind again; not leaving it to itself, but directing it perpetually from the very first, and attaining our end as it were by mechanical aid." (Novum Organum, Preface, p. 7) Just as it is impossible to carry out any great task without instruments or machinery, the same is true when one is learning about nature: nothing of great importance can be learned by the mind using its undirected and spontaneous processes—instead, it needs to be run as if it were machine-operated. Unlike other philosophies, Bacon says that his theory is not obvious, it will not be understood with a passing glance, it won't conform to people's preconceived notions, and it won't reach the understanding of people in general except by its usefulness and its effects (practical works). These philosophies (or others that may come to resemble them) encourage discussion, embellish long speeches, and thus are suited to the lectures of a professor, and to the everyday business of life: his philosophy won't be of much use for those areas. In a passage fundamental to Bacon's project, he declares that there should be two divisions of knowledge, two tribes, or two families of students in philosophy—divisions that are not hostile or estranged from each other, but rather work together: one method for the cultivation of knowledge, and another for the invention of knowledge. In regards to these two, Bacon wishes the best for those who choose to cultivate knowledge and thus choose the former method. But for those who are not content to use only the knowledge that has been discovered by others and who want to have true, demonstrable knowledge (in other words, those who choose the method of inventing knowledge), Bacon requests that they join him in his quest to find greater knowledge about nature. Formally, he calls the first method the Anticipation of the Mind, and the second the Interpretation of Nature, corresponding to the methods of cultivating and inventing knowledge, respectively, and he continues to do so throughout his work. Bacon begins Book 1 by explaining the limits of humans, both physically and mentally—in doing so, he describes the intimate relationship between these physical and mental aspects. Humans can only perform or understand only what we have either observed in fact or thought of regarding the course of nature—outside of that sphere, we know nothing and can do nothing. Without tools, neither our hands nor our faculty of reason can do much: physical tools guide our physical motions, and intellectual tools give us suggestions or cautions concerning the world. Bacon then makes the connection: “Human knowledge and human power meet in one [are synonymous],” (Novum Organum, Book 1, Aphorism 3) or: knowledge is power. Ignorance of the cause frustrates one’s ability to produce the effect, in other words: ignorance is impotence. Thus, “[n]ature to be commanded must be obeyed,” Bacon warns us: understanding and following nature is the route by which we can take control of it. Regarding the creation of practical works: all that we can do is combine or separate natural bodies, and the rest is done by nature alone. Even in this regard, the fields dedicated to practical applications, such as those of mechanics, physicians, alchemists, and mathematicians, have only met with little success. We are fooled by the seemingly expansive list of productions from the mind and from the hand, such as books and manufactures, when the reality is that we've only derived many results from a few things known, without knowing an expansive amount of general scientific principles. Even these things known, Bacon points out, were discovered by chance and trial-and-error rather than science; the state of science of his day was merely pleasing arrangements of matters already discovered, not a method for discovering anything or a plan for new works. Bacon identifies the cause: we falsely extol the powers of the human mind, while never searching for its instruments, its helps. The present sciences are useless for discovering effects, so the present system of logic is useless for the discovery of the sciences (of knowledge). The Scholastic logic that Bacon is discussing consisted of voluminous explanations of deductive reasoning, which relies on what we already know for its contents; since we know very little true things, Bacon explains, this logic only serves to stabilize and cement erroneous thinking caused by our preconceived notions, rather than discovering new and true things. The deductive argument structure, or syllogism, is not applied to the principles of science, and is useless for reaching intermediate axioms (principles that are more abstract than first-level principles of daily life, but less abstract than the highest principles of a science), as it can't compete with nature's subtleties. Aristotle described a syllogism (and thus deductive reasoning) as a proposition being true of necessity, specifically because certain other propositions were assumed to be true; because this is what a syllogism is for, Bacon criticizes it as forcing our assent to the truth of propositions, but not our assent to the reality of things. If true, this obliterates the Aristotelian science and logic that dominated Scholastic period education and scientific knowledge. Bacon goes further: besides very simple notions, like "man," "dog," "dove," and perceptions like "hot," "cold," and "black," all other notions are errors, having been improperly abstracted and deduced from the things in experience. There is the same kind of error committed in forming axioms (starting points for deductions) as in abstracting notions, and even abstracting to reach first principles, which depend on "common induction" (which Bacon later calls "enumerative induction")--these errors are intensified in the case of principles and propositions derived from deductive reasoning and the syllogism. From this description, it should be noted how close Bacon's conclusion here is to absolute skepticism. So why doesn't he become a skeptic? Part of this assistance is pointing out to people how mistaken our notions are, so that we'll do something to solve the problem. There are only two ways to investigate and discover the truth. One way rapidly ascends from the evidence of the senses and particular facts to the most general principles or axioms, and from these now supposedly indisputable truths, derives and discovers the intermediate axioms and principles—which is the current and false path. The other way constructs axioms from the senses and particular facts by a gradual and continual ascension, until it finally arrives at the most general axioms and principles—which is the true but untried way. Both ways begin with the senses and particulars, and ends with the greatest generalities, but there is a vast gap between the one and the other. The first method barely deals with particulars and experiment at all, whereas the other method regularly deals with them, points out and defines new particulars, and invigorates the sciences. 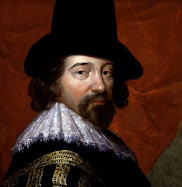 Lastly, the first presents from the outset some abstract and useless general axioms, while the other gradually rises to those general axioms which are the truly the most common in nature (Bacon's view is that the most general principles of science will span across a great variety of nature). When left to itself, human reason exercises thought in the same way as if it were guided by logic, as both paths follow the first method; the mind is comfortable starting at generalities, so that it can avoid mental labor, quickly tiring from carrying out experiments, and this vice is increased by practicing logic, because it gives one's thinking the aura of a vain pretentiousness more suitable for debate. In a patient and reflective person, his reasoning faculty may try the correct path to truth for a while, but produces very little, since reason without its instruments cannot reach the underlying reality of things. Bacon's entire explanation here has been an inductive argument: the state of both our knowledge of the world, and of our practical works, is pathetic, and this is caused by our unaided reason (anticipations of nature or of the mind) and the present logic. Next, he states the fundamental cause of our inability to produce any great science or knowledge or works to "command nature": the idols of the human mind. The idols are false notions that are deeply rooted in our reason (Bacon also refers to them as "arbitrary abstractions"); accordingly, they are difficult to detect and assess, and even when they are assessed, they will impair our thinking and thus our attempt of furthering the sciences, so Bacon proposes to warn us about them so that we may be on guard from here on out. According to him, there are four classes of idols: Idols of the Tribe, Idols of the Cave, Idols of the Market, and Idols of the Theatre. Explaining the nature of the idols is the way to safeguard his "interpretation of nature," in the same way that refuting sophistic arguments safeguarded Aristotle's presentation of syllogistic, deductive logic (his Sophistical Refutations). 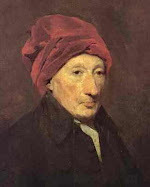 In accordance with this goal, he presents the Idols of the Tribe, Cave, and Market as his "refutation of the unaided reason," and the Idols of the Theatre as his "refutations of the philosophies and the refutations of the demonstrations," just as he said he would refute such things in the Great Instauration's "Plan of the Work." The Idols of the Tribe are founded in human nature itself, the tribe of people with their common nature. These idols are caused by the belief that man's senses are the measure of things, when the truth is that perception (of the sense or of the mind) is the measure of the individual but not the measure of the universe. We distort the nature of things by mixing our nature with it, and our mind is akin to a false mirror which takes in light rays at uneven increments, and this thinking produces idols. The Idols of the Cave are found in each individual person due to their personal experiences, education, opinions accepted, and so on, as opposed to the idols of the tribe which affect people due to their common nature. Idols of the Market are formed by the association and conversations of people, for it is among others that the meaning of words are imposed and understood, and semantics leads us into pointless controversies and entertaining fantasies. The last are the Idols of the Theatre, which form in our minds from the dogmas of various philosophies and from the erroneous laws of scientific reasoning, both inductive and deductive. Here, Bacon refers to not only the present and past philosophies, but of many more to come, and not merely about entire systems of philosophies, but of many disparate principles of science which have been mistakenly accepted. A large section of the Novum Organum is dedicated to explaining the idols, so my goal is to stick to the aspects of the causes of the idols which directly corrupt our ability to practice induction as Bacon understands it. The Idols of the Tribe are formed by our taking notice and delight in the positives or affirmative instances of something (which suggests a regularity, like lightning appearing with a cloud), whereas we should be indifferent to both affirmatives and negatives alike; in the formation of a valid axiom and principle, the negative instances are the more forcible of the two (for a reason we'll see later). For the Idols of the Cave caused by our seizing on and being satisfied with some distinction or theory made, Bacon warns us to hold such dwellings with particular suspicion, so that it doesn't distort other investigations into nature. In the case of Idols of the Market, poorly-abstracted words that men daily use can corrupt even attempts which point the way towards truths about nature. The Idols of the Theatre are notions from false philosophies, often formed by considering too much on only a few topics, or very little on a great many topics, and generally on too confined a basis for experiments and natural events, and reaches conclusions on very minuscule grounds. Lastly, before discussing Bacon's theory of induction, we should look at what theory of induction he was rejecting, since he believes that the older form of induction is damaging our ability to reach certain conclusions, the very same criticism he levies against deductive reasoning. In general, induction is known as the process of reasoning by which the mind rises from an awareness of particular facts to a general proposition about a class of things. Bacon wants to differentiate his theory of induction from the ancient theory, called "enumerative induction." In an enumerative induction, one simply observes that something has a property, like a swan appearing white, or a series of swans appearing white, and generalizes the property to all members of that class, such as reasoning that "all swans are white." Bacon calls such a long-practiced form of induction "childish," "puerile," (here he means "immature") as it leads to uncertain conclusions, and faces annihilation from one contradictory instance. This makes sense: without more information, we can't know why swans are naturally white, so our conclusion is incomplete, and it falls apart if any non-white swans exist (in fact, black swans exist). In general, induction by enumeration reaches a general conclusion on too small a number of facts, and only on the most obvious facts at that—it starts with the evidence of the senses and immediately flies off to the highest generalities, but never reaches the cause which explains the truth of the generalization. Some idols are easier to remove than others, but Bacon believes that the only proper cure to this "Problem of Idols" is the creation of notions and principles (axioms) based on true induction. This cure of true induction will vastly improve our thinking and scientific methodology, and result in the attainment of great amounts of deep knowledge concerning the nature of things, and a wave of new inventions to improve our lives. Bacon's view is that the goal of science and knowledge is to benefit the welfare of humanity, not to simply have knowledge for itself or simply satisfy our curiosity. Besides calling this kind of induction "true," Bacon also remarks that it is "legitimate," "good," "genuine," and a "more certain and guarded method." Bacon's theory of induction will be the subject of Part 2. Very interesting and glad that you shared!